During a trek to Loch Ness, Scotland, a young Charles Darwin encounters a mysterious and terrifying creature that provides a spark for his evolutionary theory. Almost 200 years later and across the Channel in Paris, the Eiffel Tower is under attack. Only through detective work, intuition, and a judicious application of high-tech weaponry does former Army combat engineer Tyler Locke prevent a massacre. The secret behind human evolution is about to be revealed...but will it come in time? For over a decade, archaeologist Dr. Martin Anders has searched in vain for proof of the fabled continent of Atlantis. After raising a puzzling artifact from the ocean floor, Anders gets more than he bargained for. It is a piece of modern technology thousands of years old. 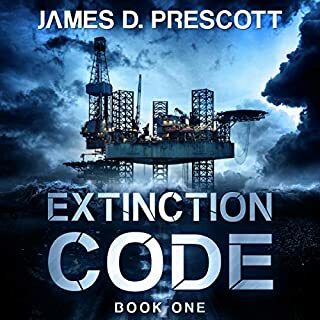 When a deadly global pandemic threatens the human race with extinction, Anders fails to see how it may be connected to his startling new discovery. That is until he's approached by a powerful biotech company. They're assembling a team of scientists and Special Forces operators to retrieve the cure from their top secret research facility. 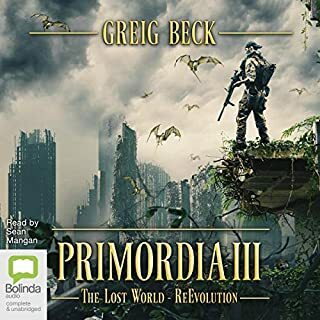 It will mean traveling to a dangerous land populated by creatures long extinct and facing off against an ancient order determined to keep its secrets at any cost. 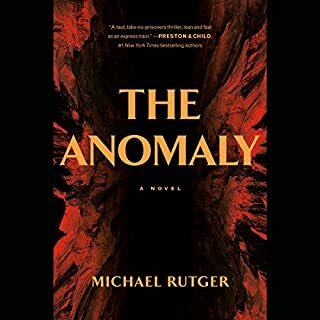 A fast-paced archaeological thriller that will make you question everything you think you know. For fans of James Rollins, A. G. Riddle, and Preston & Child. 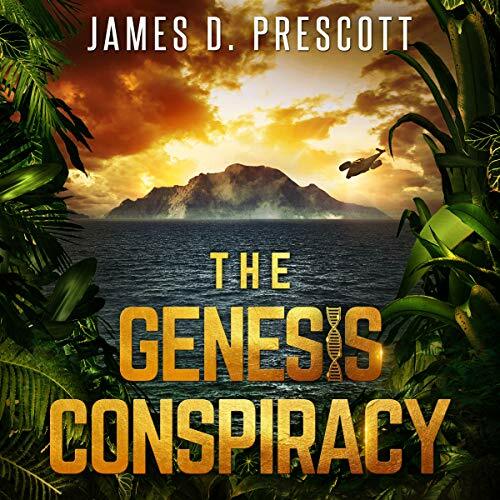 Author James D. Prescott and narrator Gary Tiedemann once again team up and pull off an exciting action-packed thriller in “The Genesis Conspiracy”. 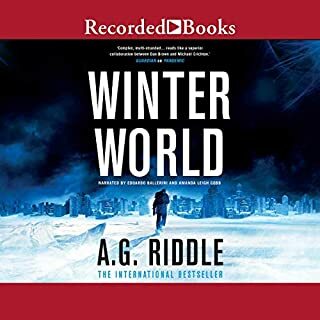 It is a bit shorter than the author’s other works at just under six in a half hours of audio, but as a listener, the book is fulfilling, enjoyable and engaging. If you like archaeological mysteries and enjoy plunging into the depth of the ocean in search of a lost city, this is the book you have been looking for. Mr. Prescott has set the level quite high in this book along with the others he has written. I have enjoyed each one of them and they all have felt very different from one another. In the same way, Mr. Tiedemann has established himself as quite the narrator as he is able to bring books to life in ways that make one feel they are watching a movie. If books containing adventure and history are your thing, I would say that this is a book to pick up and give it a listen. The book opens with quite a mystery. A body is discovered at the base of a snowy mountain. It is believed to be over twelve thousand years-old yet a piece of clothing containing a zipper; how could this be? This is not the only strange thing discovered as the body appears to have been enclosed within a modern-day body bag. All of this is only the start of the journey our characters face while you listen to this audiobook. The detail of research and background information feels real and the technology is advanced while not overly progressive. Some of the technology used in the suits the characters wear on their trip was unique and interesting. There are micro drones and other implements which are used in various ways that may have you looking over your shoulders. The author is very good at knowing when to insert a scene with action while also being able to weave in a few emotional parts as well. It is a solid piece of writing. As with the other books authored by Mr. Prescott, the characters in this book felt real and multidimensional. There was some good backstory included on many of the main characters and each felt distinctive in their own way. I enjoyed the banter between the various groups as each felt like they were a part of something bigger than themselves alone. Their travels took them to a new different place that required each to leverage the expertise of the others. The characters each had their own weakness and strengths much like relationships in the real world. I like the time and detail the author gives the characters as they really are the main support beams holding up the story. The book does have a few of your expected story tropes such as the evil corporation, a killer virus, and a few others. However, Mr. Prescott uses these in a way that feels thought out and a part of the story. For me, the book felt a bit like a blending of The Abyss and The Da Vinci Code with portions of the TV series Lost thrown in for a surprise. Toss in a bit of an apocalyptic storyline, and you have a well-written and narrated tale. The audiobook’s narration was rich, deep, and clear of any noticeable audio artifacts. Mr. Tiedemann’s narrations are professionally produced, and he does an exceptional job of voicing characters with accents. I have enjoyed many other books from this narrator and not once have I been disappointed in his work. It is no different with this audiobook as either. Volume was consistent and character voicing made each easy to distinguish from the others. For parents and younger readers, this book does contain a fair amount of vulgar language and crude humor. Also, there is some graphic violence and or more mature subject matter. The above is what many might expect from a team of military personnel, but much of it was unnecessary to the overall story. The story was well done, and if you can ignore the added language, I think for a more mature reader it is worth listening too. 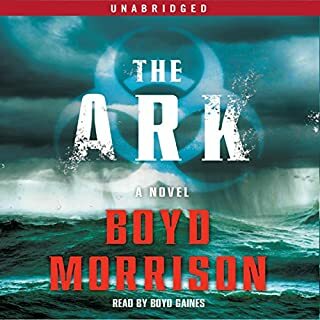 In summary, if you are a fan of thrillers that are action-packed and include elements of science fiction and apocalyptic disasters, I think you would do well to give this book a listen. There are some really well thought out technologies and enough twists and turns keeping you on the edge of your seat. I listened to most of the book during a long road trip and I’m glad it was there by my side keeping me entertained the entire way. This book is an interesting read, very well written and well developed characters. I started listening this audio book with intrigue which got me listening until the end. About 30 minutes into this story, I realised that I had actually read it previously. I considered not listening to the Audible version, but thought narration might give me a different perspective. 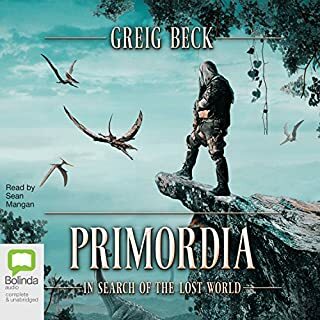 I had previously found the Kindle version to be very satisfying in terms of storyline, and to be fair, the audiobook is equally as good. The story premise is solid, most of the characters are very well defined and their motivations clear. The environment they enter is well described and interesting. The narrator does an excellent job of separating each character and made the dialog easy to follow. If I had to have one criticism it would be that the ending rushed up on me. The journey itself built up quite nicely, but the end felt rushed and I wasn't too happy with how the antagonist(s) avoided real punishment for their actions. I was provided this audiobook free of charge, by the author/publisher/narrator, in return for an unbiased review. for which I am grateful. The Genesis Conspiracy: A great read/listen 6 hours of great entertainment. It's got the lot - Action, Intrigue, Time travel and a plot to end the world as we know it, and a secret organisation devoted to saving it. Narration is excellent and very easy listening. An interesting and slightly scary concept, the first half of the book is well written with a good cast of characters that are a bit cliche at times and would benefit from further work. There are some great twists that made things more interesting, but the second half of the book took things too far for my tastes. Yes, it's fiction, but it ended up being drama for the sake of drama. An interesting book, it would have benefited form better editing and someone asking 'why?' a lot. I liked it, but it also left me a bit disappointed, there was a lot of unrealized potential. Great narration, the character voices are well done and the delivery did a good job of conveying the tone of the scenes. This was a well-paced and fun listen. The story is interesting and the characters are engaging. There is great dialog and plenty of action to keep the story moving. The narration is well done and makes for a highly entertaining experience. I would definitely recommend this to anyone who like a good action/adventure story. I really enjoyed this fast paced time travel/apocolyptic virus/search for Atlantis story.It had so many different things going on! An archeologist in need of cash takes an offer a millionare offers him.He realizes he made a mistake not long after.Gary Tiedmann was a good narrator.I was given this book by the narrator,author or publisher free for an honest review. Take a ride to an alternative reality. With a good Narrator you are taken on a fun journey that includes adventure and History and mystery. The Audio Book is well done and most listeners will find it entertaining. There was fun science and bummer hypothesis stuff about what do we do with the increasing population and decreasing land mass. No positive solution was presented (that I recognized). The conspiracy/various other dramatic characters/chase scenes got in the way of the fun archaeology and other sciences. it was a Vietnamese character that had no speaking Parts. I didn't like the most of his character were based on stereotypes. I thought he could have done better as an author and writing his character.